When Craig Murray discovered a waterfall in a small sheltered bay in British Columbia’s Great Bear Rainforest almost 40 years ago, he knew immediately: This was where he and his family would create his vision of a family resort. 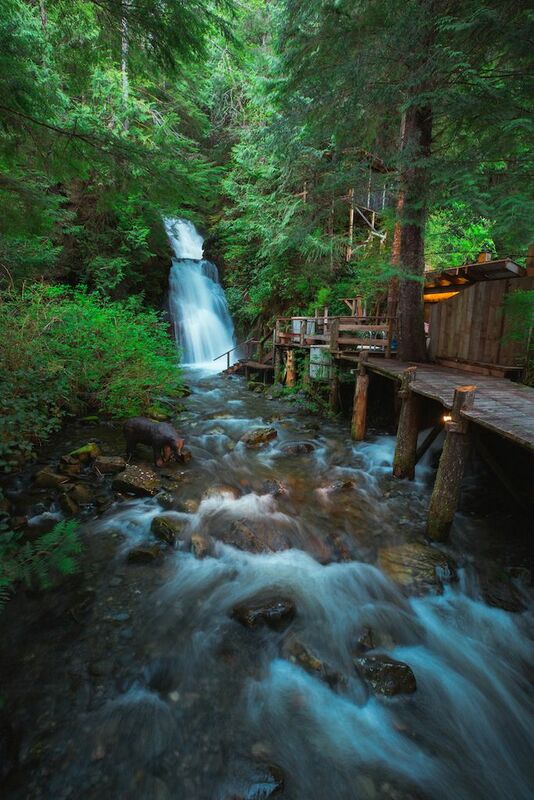 He calls this waterfall the “lifeblood of Nimmo Bay.” It’s located in the heart of the Nimmo Bay Wilderness Resort — steps away from the guest cabins and main lodge — and provides fresh drinking water and nearly 100 percent of the electricity. When I visited the resort this past spring, the waterfall was raging, full of spring melt from the snow-capped mountains towering above. When it’s calmer, the bottom becomes a plunge pool, an invigorating contrast to the two cedar hot tubs situated nearby. Even if you don’t take the plunge, relaxing in these tubs amidst the trees and the waterfall is a special experience in itself. 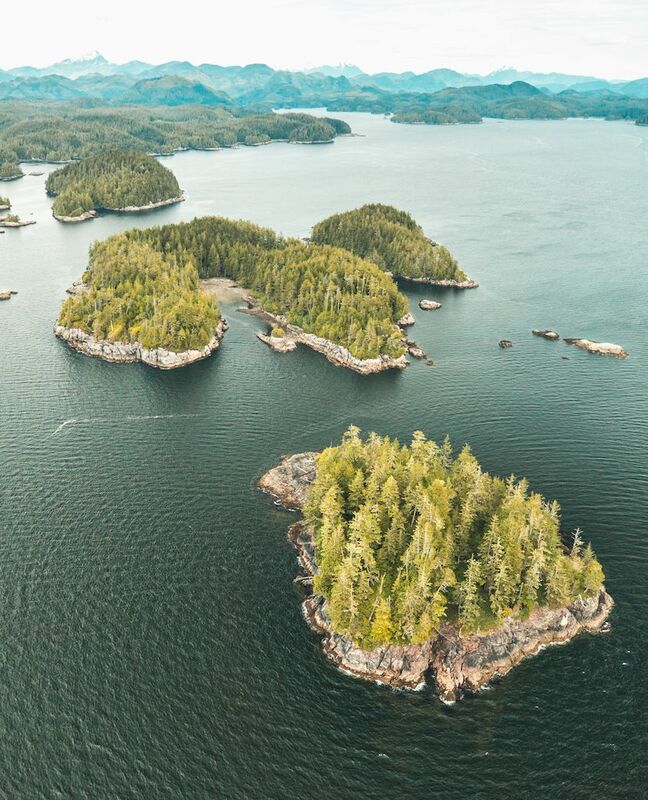 To say Nimmo Bay Wilderness Resort is remote is an understatement. There are no roads in — it’s only accessible by sea or air. Unless you have your own boat, you’ll most likely arrive by air (float plane or helicopter). Bookings are all made through the website, and the lodge is only open from May 1 to October 31 each year. The original lodge was built on northern Vancouver Island and floated to Nimmo Bay in May 1981. Today, the resort has nine guest cabins, a floating spa, massage rooms, a rec room, three helicopter pads, and a beautiful common building. I was struck by the craftsmanship and level of detail of the buildings and furnishing, and how it all seamlessly blends into its forest surroundings. It’s no wonder why it’s one of National Geographic’s Unique Lodges of the World. 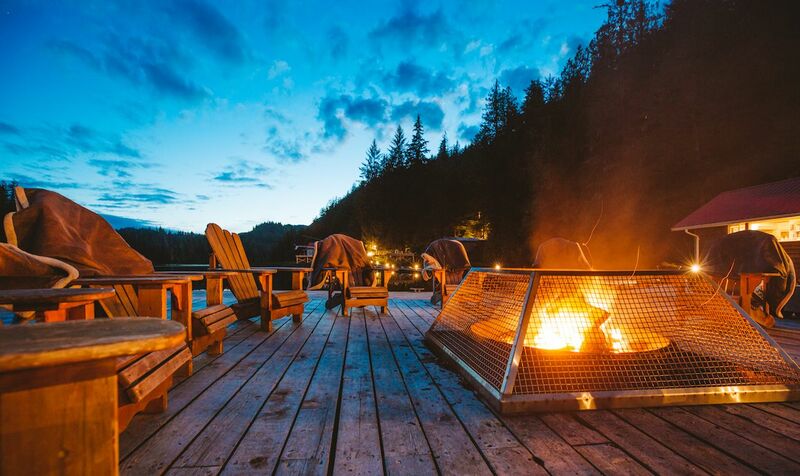 Historically, Nimmo Bay Wilderness Resort has been a heli-fishing lodge; guests get transported up into the mountains to fish in pristine rivers and streams. 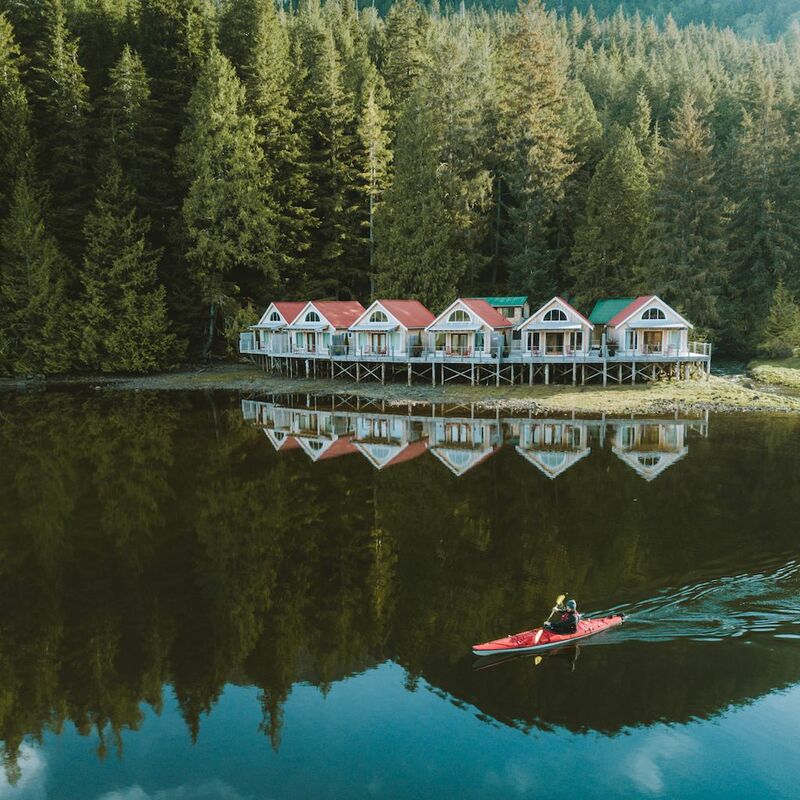 Over the past several years, it’s evolved into an eco-tourism destination and now offers many experiences in addition to fishing, from whale- and bear-watching to heli-biking and old-growth forest hiking. 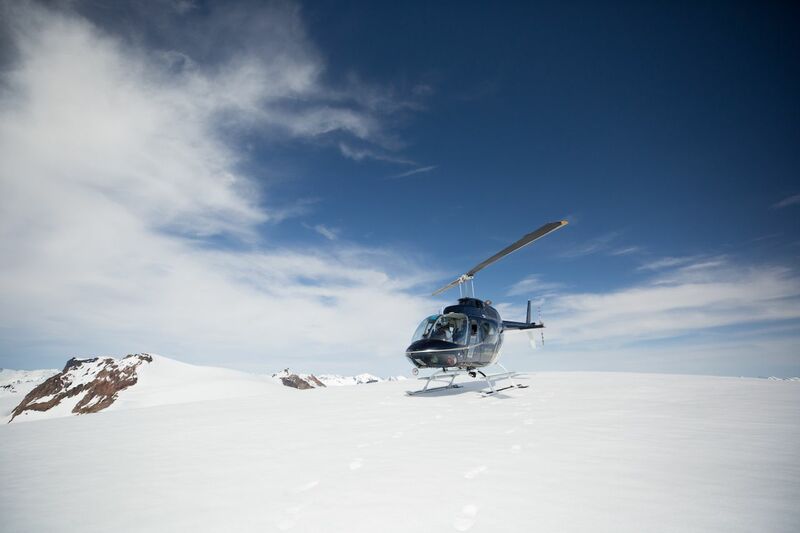 You can even have a picnic lunch on a mountaintop glacier. (I did, and I highly recommend it.) However you want to spend your time there, the resort will do everything it can to make it happen. This is what I felt as I chatted with staff and other guests around a bonfire on the floating deck, or seated around a beautiful massive oak table enjoying a meal together, or watching the family give an impromptu musical performance where we all clapped and sang along. The resort was built on family values, and it’s tangible: I felt like I was at home.